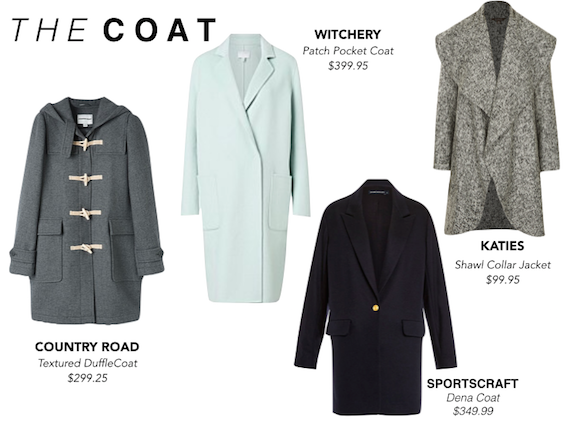 A great coat is an easy way to update our winter look. Not only do they keep us snug, they add shape and class. More neutral tones will be a staple piece and will go with every outfit. If it is a statement you are looking for, go for a bold bright colour. Knits! The best kind of magic on a winter’s day. Knits come in all kinds of styles from sweaters, to cardigans, wrap blankets and cowl necks. Some are thick and fluffy and some thin and lighter. This gives the option of layering, which is one of my favourite things about winter fashion. 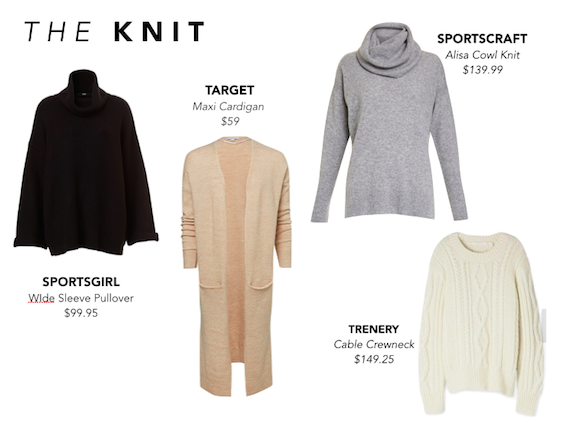 You can never have enough knits, so stock up! I love fedoras. There is something so classic about wearing a hat to finish off an outfit. 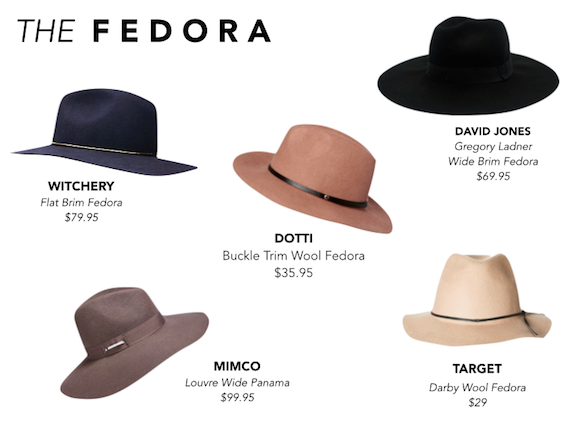 The fedora is so good because they are normally made from wool giving us some extra warmth up top. There are so many different styles and colours to choose from, so I would suggest trying on a couple of different ones to find one that suits you best. 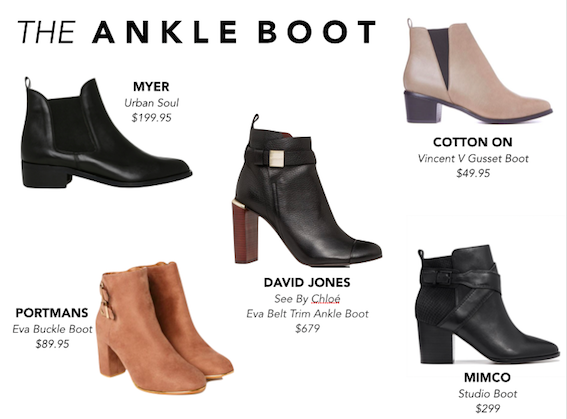 The ankle boot is one of those pieces you invest in and get so much bang for your buck! These boots can be worn with everything from skirts with opaque stockings, jeans, pants, dresses and leggings. They are so versatile, comfortable and look great. Three massive ticks in my book. Let’s not forget our beauty routine during winter. Skin tends to dry up from us covering up, so a good moisturiser or mask is essential to keep our skin glowing. 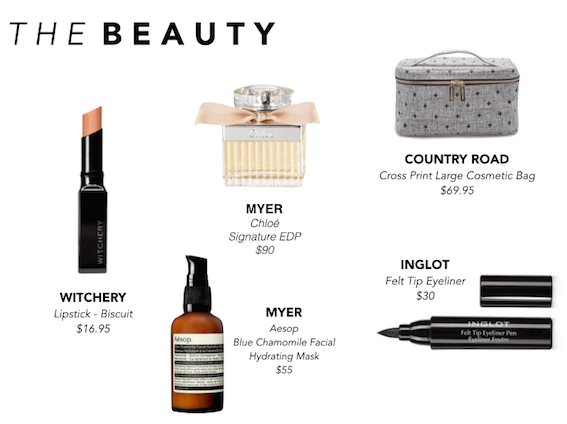 I’m all about keeping it simple when it comes to beauty. Less is always more.